During your tenure, you maintained a vested interest in both immigration and health care. I sincerely hope that your stance on these issues will result in you reading this letter in its entirety. I work at a breakfast restaurant in Bloomington, IN. Our head cook, Roberto, came to the US illegally when he was fourteen. He climbed a wall and then ran for three miles straight to cross the border. In the group of people that he crossed with, there was a woman with a two year old child that she could not carry during the run, so he carried that child, while he ran, for three miles. He started working at our restaurant, legally, when he was seventeen. He is now twenty-four, and he has worked seven days a week during the interim. I have never met anyone with a work ethic to match Roberto’s, and I cannot understand why anyone would consider him to be less than an asset to our country. Roberto has a six year old son named Diego, who unfortunately, likes basketball and music much more than soccer. He did not marry his wife, Kayla, until last year, because she was able to qualify for Medicaid as a single mother. However, his green card expired several months ago, and President Trump’s stance on DACA, which Roberto has spent roughly $15,000 navigating, convinced them to get married. Once they were married, Kayla and Diego were kicked off of Medicaid. They have reapplied several times. For the past few weeks, Kayla has been complaining about headaches and blurred vision. Since she has no insurance, she went to the emergency room. $2,000 and five hours later, they told her that she was dehydrated. Her coworkers convinced her to go back a few days later and ask for an MRI. On Tuesday night, she was diagnosed with a massive brain tumor behind her eye. Kayla is having a five hour surgery on July 6, which has a 50% percent success rate. She has a six year old son and no health insurance. She is 23 years old. Citizens who work this hard should not have to rely on GoFundMe for medical emergencies, and I sincerely ask you to personally take an interest. I have, in the last week, witnessed the most precariously placed people in this country donate money to this family, but we do not have enough. Sometimes it feels like we’re never going to have enough, and I am truly asking for your help. The Trump draft of the "FART ACT" bill is written to abandon world trade rules and change the way the world does business with the United States. Trump and his administration have been meddling in the economy, but what is the end goal? Why would all of these horrible economic actions need to be taken of Trump really cares about the USA? Its possible he is taking orders from Putin, who would love to see the United States dissolved. Please Request for amnesty for the release of Mr. Zafzafi and detainees in Morocco. Mr. President 15 peoples from Morocco city Rif El housaima are sentenced to twenty years in prison. They have been unjustly imprisoned because they only asked for their legitimate rights. Hospitals, People there in the countryside die from cancerous diseases in the rural area of North America so the population asked for hospitals and the Moroccan government sentenced fifteen years of imprisonment, Please respect this honorable person. Open an investigation into this disaster and intervene immediately and immediately to protect these people who are oppressed from twenty years of prison. Read more about Please Request for amnesty for the release of Mr. Zafzafi and detainees in Morocco. CNN is saying: Michael Cohen must be making Donald Trump very nervous right about now, and they are probably right. Cohen, Trumps "fixer", had this to say "My wife, my daughter and my son have my first loyalty and always will ... I put family and country first. ", which has fueled speculation that he will "turn" on Trump. Illegal activity, like paying hush money to Stormy Daniels, can be traced to Cohen - but the crimes do not stop there. One of the big problems for spacecraft in the coldness of space is heat. Whatever parts of the spacecraft are exposed to the direct light of the Sun will begin to heat up. There is also the problem of heat in the spacecraft that needs to be radiated away. For the foreseeable future, most new nuclear power technologies will still run, wholly or partially, on uranium, so it is important that this vital resource is mined, produced and managed sustainably, International Atomic Energy Agency (IAEA) Director General Yukiya Amano said this week. The Association of Southeast Asian Nations (ASEAN) is a regional intergovernmental organization that is composed of ten Southeast Asian countries including Indonesia, Malaysia, the Philippines, Singapore, and Thailand, Brunei, Cambodia, Laos, Myanmar, and Vietnam. 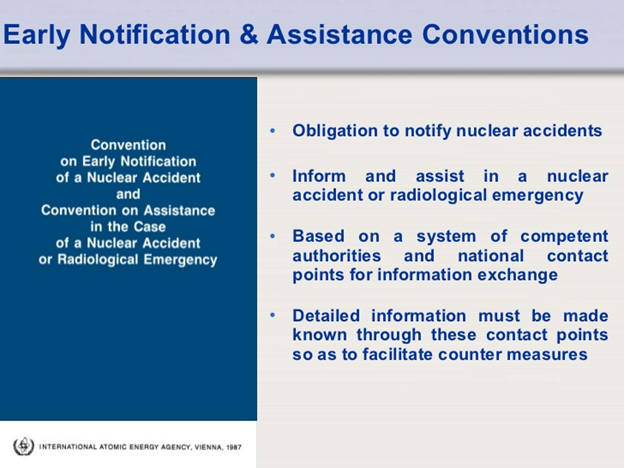 The Competent Authorities under the Convention on Early Notification of a Nuclear Accident and the Convention on Assistance in the Case of a Nuclear Accident or Radiological Emergency had a convention in Vienna last week.